We will have a variety of plants for sale along with some of our trees that have been dug out of our fields at the farm. Our booth numbers are 18, 19, & 20. Watch us move and transplant large, fully grown, 25′ tall trees this weekend. 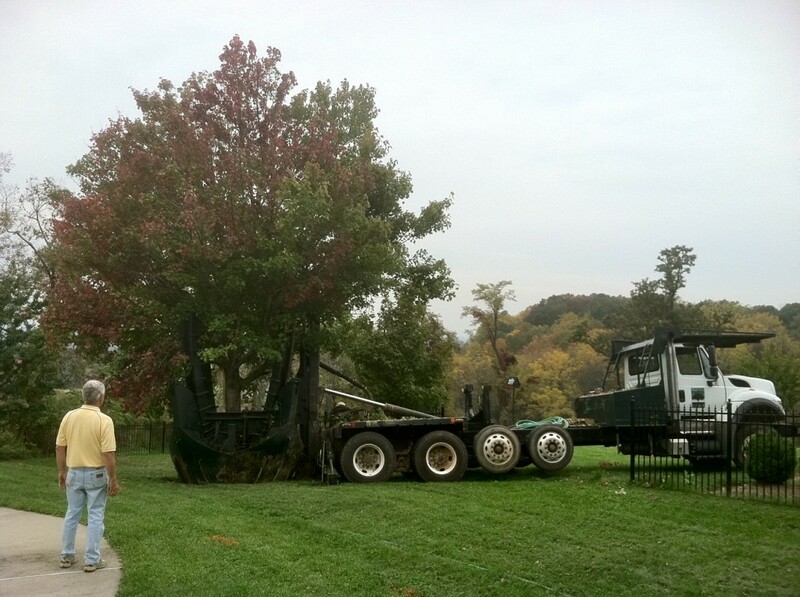 Once again, we will be demonstrating how we successfully transplant large specimen trees. We’ll be moving trees throughout the day. Blandy is located one mile east of the Waterloo intersection of Route 340 and Route 50/17 near Boyce, VA. Blandy is approximately 15 minutes from Winchester, two hours from Charlottesville and one and a half hours from Washington D.C. The main entrance is located on Route 50/17.